Great news from ALA Midwinter! 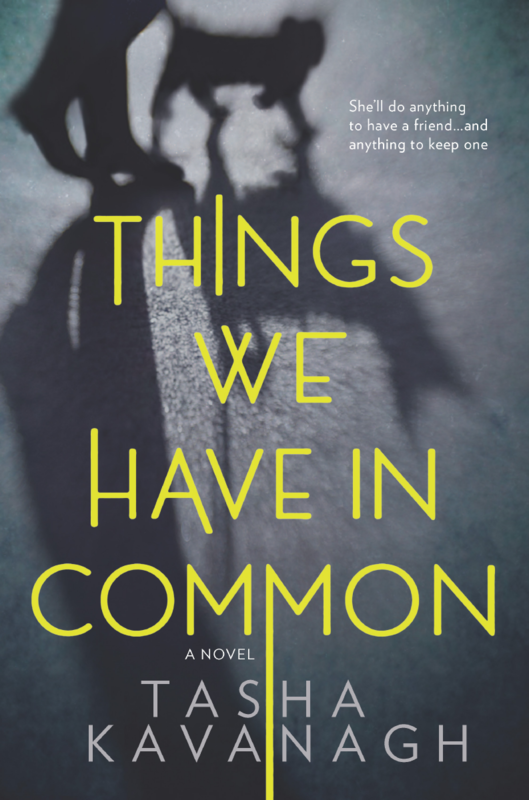 We are thrilled to announce that Tasha Kavanagh’s Things We Have in Common [MIRA Books] is a 2018 YALSA Alex Award winner! For more about the book and an excerpt, visit our sister site, BookClubbish. Fifteen-year-old Yasmin Doner is a social misfit who yearns for a sense of belonging, finding comfort only in food and the fantasy of being close to Alice Taylor, a girl at school. Yasmin will do anything to become friends with pretty and popular Alice. When Yasmin notices a sinister-looking man watching Alice from the school fence, she sees a way of finally winning Alice’s affection—because how this stranger is staring is far more than just looking, it’s wanting. Because this stranger, Yasmin believes, is going to take Alice. Yasmin decides to find out more about this man so that when he does take Alice, Yasmin will be the only one who knows his name and where he lives…the only one who can save her. The Alex Awards are given to ten books written for adults that have special appeal to young adults, ages 12 through 18. Find our more about the award and the other winning titles here.